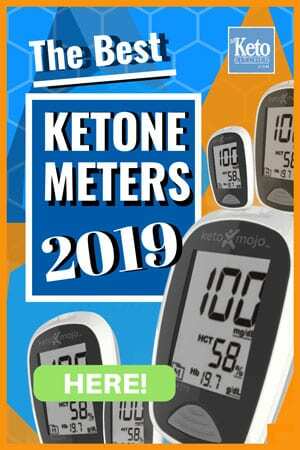 We have a lot of keto cauliflower rice recipes at our disposal. Healthy cauliflower rice is very versatile and easy to make. All you need is a cheese grater, cauliflower and some imagination. If you’re eating Paleo cauliflower rice recipes are also a staple with you as well. It goes great with a meaty stir fry. 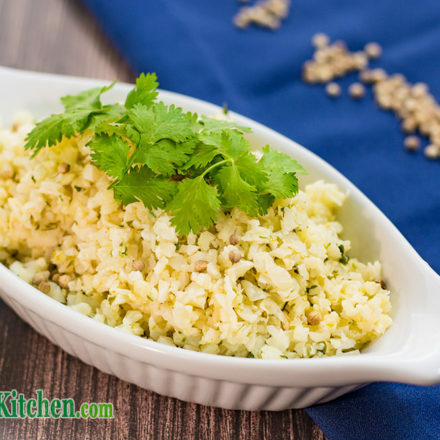 Below we’ve included a Low Carb Lime & Cilantro healthy cauliflower rice recipe. 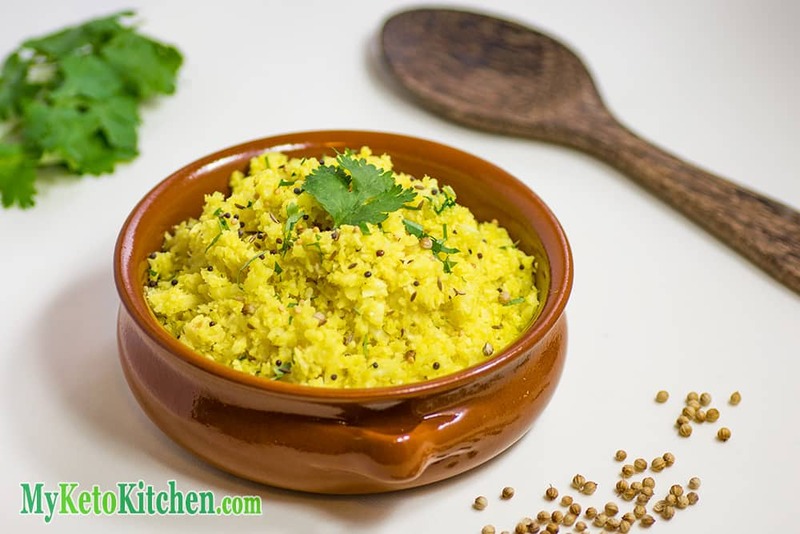 It’s a great addition to your Keto Taco Bowls or as a side for fragrant Indian curries. We love Indian cauliflower rice with our Keto Coconut Pork Curry. This recipe below makes 4 side serves. We make a heap of Cauliflower Rice Recipes. Keto Cauliflower Rice, Paleo, Low-Carb and they're all very healthy. Try this Cilantro and Lime version. Place a non stick frying pan over medium heat. Add the ghee and coriander seeds and saute for 1 minute. Add the cauliflower rice and saute for 3 minutes, before adding the lime zest and juice. Continue to cook, stirring occasionally for 10-15 minutes, until the cauliflower is cooked through. Remove the pan from the heat and stir through the salt and cilantro. One of our all-time favourite cauliflower rice recipes is this fragrant Indian flavor. So easy to create with delicious aromatic spices. Serve it as a side dish with your favorite Indian Curries such as Keto Vindaloo. 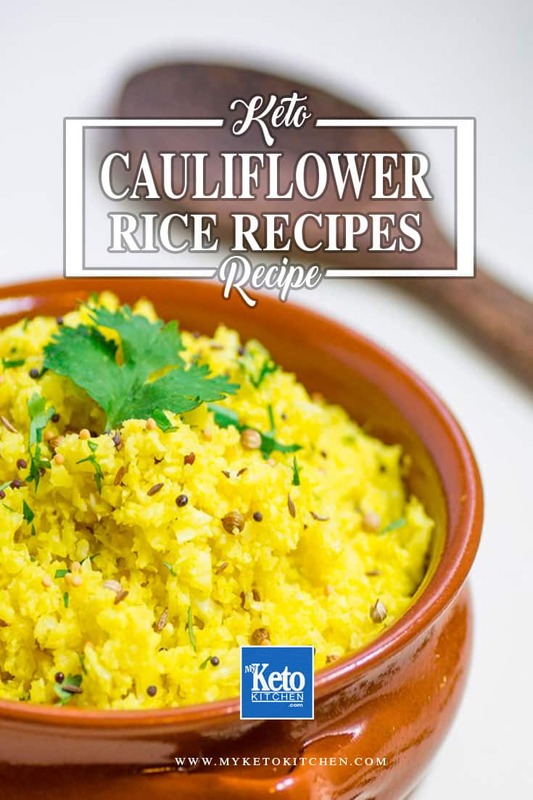 Find the Low Carb Indian Cauliflower Rice Recipe here. Keeping with our exotic international cauliflower rice flavors. This deliciously tasty Mexican cauliflower rice is a fantastic side to any dish whether spicy or not. Very Simple with a subtle flavor. This coconut cauliflower rice recipe really is nice to place in the center of the dinner table for everyone to help themselves. Serve with your favorite coconut curry dish. 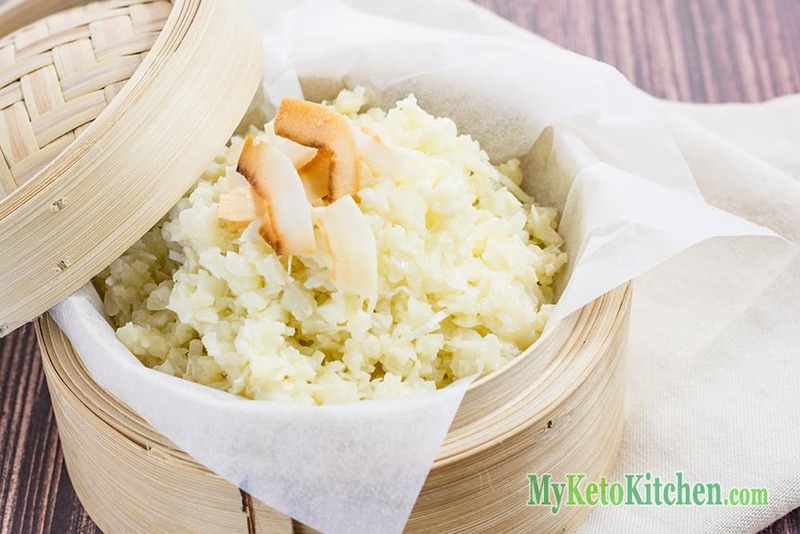 Find this healthy coconut cauliflower rice recipe here. I love fried rice and this is one of my favorite low carb keto recipes. 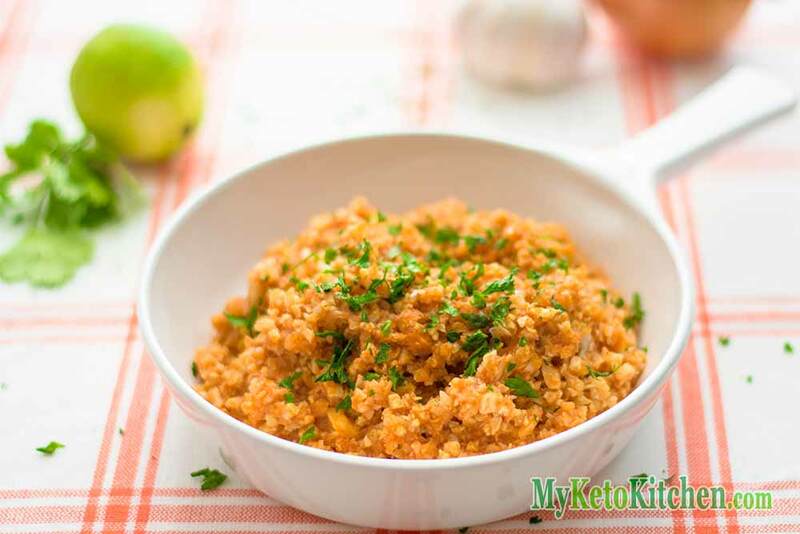 With the right ingredients this keto cauliflower rice recipe is delicious and a meal on its own. 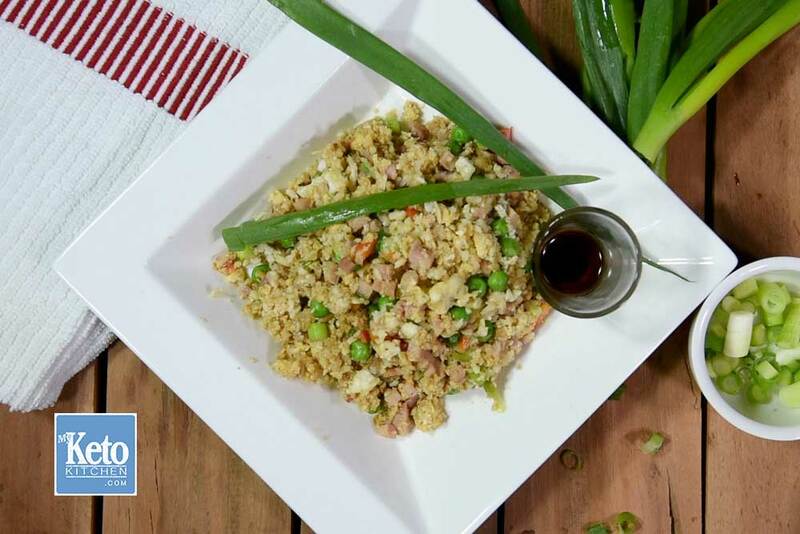 Get the fried cauliflower rice recipe here. So start cooking they’re very easy. And as you can see the versitility of these cauliflower rice recipes is only limited by your imagination.